Step into a dark world of fantasy and myth in the greatest fantasy online strategy game! You have been chosen to be a champion in these dark times. Claim the throne of Stormfall: Age of War! Stormfall – Age of war is a building game. As the lands of Darkshine are in turmoil, A hero is needed to unite the empire of Stormfall for a raging war with the ancient evil. Darkshine was once a great empire of Stormfall. 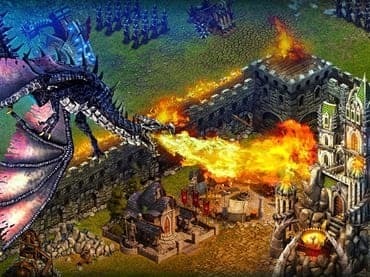 You will need to expand your castle, build your league of warriors and prepare them for battles. Work closely with your allies from around the world. Manage your resources, come out with strategies to expand your impregnable empire. This is the age of war! Increase your resources for your empire because the empire of Stormfall needs you. A hero that could lead the empire to a peaceful and prosperous land. There is an imminent war ahead. Will you be the one to save Stormfall? Download this strategic building game today! If you have questions about Stormfall: Age of War game, please contact us using this form.